While the idea of a collective consciousness, outside and independent of that of individuals, cannot be demonstrated the widespread intuitions favouring this view cannot be ignored. A summary of such testimonies appeared in Wonder: A Way to God [Stockton 1998:85-102] and is extended here. The idea of the unconscious mind, as most notably exemplified in the psychology of Freud and Jung, was common among philosophers, scientists and poets, beginning in the seventeenth century, culminating in the nineteenth [Whyte 1962]. The romantic movement of the nineteenth century believed that the unconscious mind was the underground source through which the individual was able to access the universal forces of nature. More recent extensions of this viewpoint include that of a supreme, transpersonal consciousness (Wilber) and an anima mundi, a world soul (Hillman). Advances in the physics have awakened an awareness of the universe as a web of interdependent relationships in which no one component has reality independent of the entirety and this in turn has elicited renewed comparisons between modern science and Eastern mysticism. Descartes' distinction between mind and matter no longer holds sway as matter is increasingly being attributed with mind-like qualities. Exponents of this panpsychism include C. Birch, P. Davies, D. Reanney, W. Pannenberg, F. Capra, D. Zohar. Tending in this direction are R. Sheldrake with his "morphic fields" and Pierre Teilhard de Chardin with his "noosphere". This term, "perennial philosophy", coined by Leibniz, was popularised in the book of this title by Aldous Huxley . 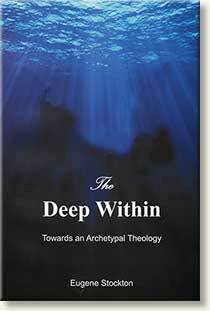 It embraces the core of spiritual wisdom common to many schools of philosophy and religion [Coleman 1994:5]. This wisdom sees the material world pervaded by a transcendental reality. Parallel to the development of mysticism in the East was that of Greek thought in the West, seeking to grasp the intelligibility of all things. Such were the Plato's Universal Ideas, the prototypes of all that exist, originating in the mind of God and knowable by human minds. Heraclitus and the Stoics put forward the Logos (the Word) as the eternal reason ordering the universe, in which human reasoning participates. In Alexandria at the time of Christ, the Jewish philosopher Philo, drawing on his Jewish religion and Greek culture, made the Logos the intermediary between God the Creator and the created world, the Idea of ideas, the mind and spirit of the Godhead. The third century Neo-Platonist, Plotinus, spoke of the Universal Mind, the Nous, intermediary between the transcendent One and the world Soul. These ideas kept recurring in various combinations in Christian philosophy and theology. A handful of books stand out from the rest of the Hebrew Bible, with few allusions to specific institutions of Judaism (e.g. Temple cult, prescriptions of Mosaic Law), but in tune with the wisdom literature of neighbouring peoples. They focus on the figure of Sophia (Wisdom) who is associated with God in the creation and ordering of all things. She is the self-expression of the Creator and the masterplan of His creation. In the canonical books of wisdom it is not clear whether she is divine or created, distinct from God or emanation, a person or a poetic personification, the same as or different from the Spirit of God. 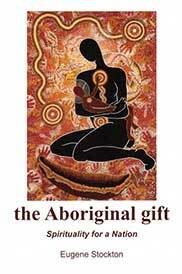 The cover of Fr Eugene's Book which is published by the Blue Mountain Education and Research Trust and available HERE. This vagueness allowed Sophia to be translated into other religious systems, whether it be the Torah of Israel (Sirach), the Logos of the Alexandrian philosophers (Philo, the Wisdom of Solomon), the image of God enfleshed in Jesus (New Testament). The Christological hymns of the New Testament [Jn.1:1-18; Phil.2:6-11; Col.1:15-20; Eph.2:14-16], possibly among the earliest compositions of the infant Church, clearly depict Christ in sophianic terms. Paul readily speaks of the cosmic, risen Christ as the "Wisdom of God" [1 Cor. 1-2], and in similar strains evokes "the mystery of Christ" and "the mind of Christ", nearly equivalent to "the reign of God" in the Gospels [Hill 1984; Stockton 1998:94-5]. There is no view without a viewpoint, no thought without a thinker. Likewise a universal consciousness is inconceivable without a personal subject, a transcendental "I". Hence theories of universal mind, apart from religion, are simply romantic fantasy. Alternatively, opinions which see universal consciousness as the confluence of many mortal minds, such that many subjects participate holographically as parts in the whole [Stockton 1998:88,145], are worthy of more serious consideration. However such a zeitgeist, flowing heedlessly from the many, would be a mixture of values high and low and incapable of leading to personal transformation. Far different is the wisdom espoused by primal traditions and mainstream religions, in which humans participate by deliberate reflection and contemplation on the way to transcending themselves in the Transcendent "I". Capra, F. 1991 The Tao of Physics: Exploration of the Parallels between Modern Physics and Eastern Mysticism, 3rd edition. Shambala, Boston. Coleman, N. 1994 Five Lectures on Perennial Philosophy Today. Leftbank Portfolios, Melbourne. Griffiths, B. 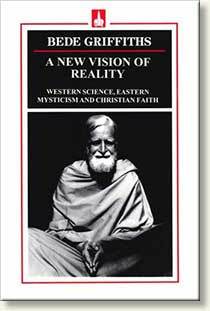 1989 A New Vision of Reality: Western Science, Eastern Mysticism and Christian Faith. Font, London. Sheldrake, R.1990 Rebirth of Nature: The Greening of Science and God. Century, London.